Today, we have easy-to-use push and riding mowers, so mowing should be easy and done efficiently. Even so, many people still dread mowing a lawn or don’t want to pay the costs of having it done by a professional. You don’t have to; all you need to do is learn. To make the most of your time when mowing, learn how to mow your lawn efficiently. Practice a couple mowings and do some tweaking to adjust to the contours and individuality of your lawn, so you can enjoy your freshly cut lawn sooner than later. Do a practice run with your riding mower. Make a 180-degree turn at the end of each row to go back the other way. Lawn two or three rows; making as sharp a turn as possible. You can practice with any mower, it doesn’t have to be a push mower. You can mow in rows or spirals depending on the one that achieves the best results. If your riding mower has a wide turn, leaving patches of grass are uncut, then avoid mowing in rows. 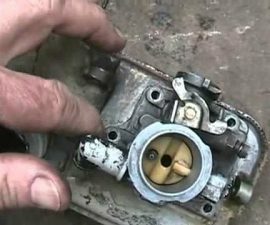 But if you turn your riding mower 180 degrees without leaving any patches of grass uncut, then mowing in rows would be most efficient. The same case applies when using a push mower—mow the lawn in spirals or rows, whichever that is efficient. Not all lawns have straight lines or open space. So, you may need to make a sketch of your lawn on paper. Then divide it into large rectangles or squares. Mow each of the divided areas using spiral or row pattern. 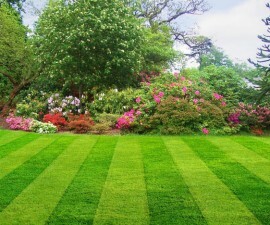 Some areas left will not be rectangular or square shaped, you may need to mow twice patches of uncut grass when mowing curved areas or around obstacles, such as trees. You can mow in spirals or rows, whichever is efficient. To mow in rows, make a 180-degree turn at the end of each row until you finish your lawn. To mow in spirals, start with the outer edge of your lawn, then turn 90 degrees at the end of the row and mow down the next edge. Continue doing 90 degree turns at the end of each row. Turn a bit sooner on every fourth turn, to mow the next spiral layer. Mowing your lawn the right way will keep it looking healthy. Grass is just like any other plant, so if you clip off the growing points (the crowns, where new leaves develop), the grass branch out and become denser, thus providing a tightly wove turf or lawn. If you don’t mow at all, your yard will look more like a prairie than a lawn. But the meagre act of mowing is not enough to make a lawn look good and healthy. Learning how to mow a lawn efficiently is what makes the difference. 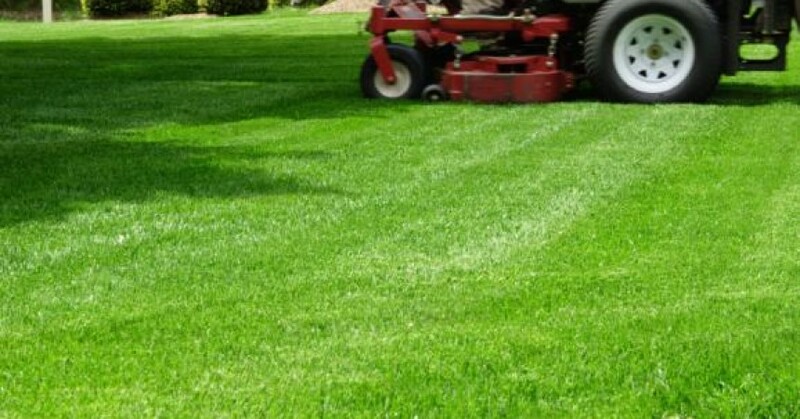 Mowing at the right height and frequency contributes to a healthy and attractive looking lawn. Be careful while mowing on hills since steep slopes are always dangerous–a mower can flip over or go out of control. 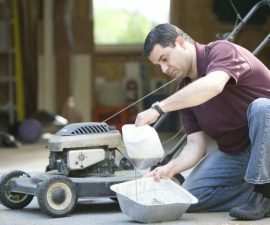 Professional Lawn Care and Maintenance: How Much Does it Cost?